All of the Chiropractic Health Club staff believe in a patient-centered approach when it comes to your care and helping you develop optimal health and wellness. From the moment you walk through the door, their goal is help you on your way to a pain free life. This mission all stems from the vision of the Chiropractic Health Club’s doctors, who can be considered the best chiropractors in Riverside. Dr. Jay Kang has made it his life’s work to help others achieve wellness and optimum health in their lives. His immense educational background combined with his love for people, his faith and his family has made him one of the fields most respected, admired and successful doctors. 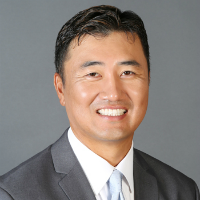 With over a decade of experience running a highly successful practice, Dr. Kang has become an esteemed specialist in medical legal cases, sports medicine, as well as family medicine. He is an accomplished Certified Industrial Medical Examiner, a Certified Manipulation Under Anesthesia Practitioner, and a Certified Neurologic Relief Technique Practitioner. Dr. Kang graduated from Southern California University of Health Sciences where he holds various degrees in health, wellness and chiropractic care. Among Dr. Kang’s most noteworthy patients are championship players from Major League Baseball (MLB), PGA Tour professionals, UFC fighters, Olympic competitors and medalists, as well as collegiate level NCAA athletes both locally and from around the country. Of course Dr. Kang deeply prides himself on serving his local community, ensuring every patient that entrusts Chiropractic Health Club is completely satisfied with their level of treatment and care. Dr. Kang’s passion for giving back and helping others attain wellness extends beyond the walls of his practice. He often performs mission work in Mexico and donates his time and services to World Vision. Dr. Kang also regularly volunteers in various community wellness events, high school rotational programs and health fares, assisting and educating the public on various health questions, concerns and wellness guidance. When he’s not helping others, Dr. Kang enjoys spending quality time with his beloved wife, son and daughter, as well as regularly attending Eun-Sung Presbyterian Church. Dr. Ehl has great adjusting technique with strong hands and finesse. 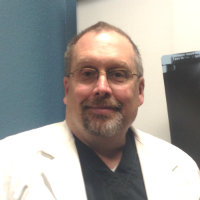 Dr. Ehl is a graduate of Los Angeles College of Chiropractic and has decades of experience. He is also a car accident, sports injury, rehabilitation, and functional alternative medicine specialist. Hobbies are Triathlons, swimming, biking, and skiing.